Temperatures are rising, the sun is setting later, and boaters are calling in anticipation of the ice going out! Exciting times, the boating season and summer is just around the corner! As the weather warms up, we begin launching your boats. Please be mindful of our Spring Launching Policy of a minimum of two week’s notice to prepare your boat for the season. Should you require extra work done to your boat, kindly call us three weeks in advance to prepare. SAFETY CHECK – Our staff perform an annual safety check to ensure all government regulated safety gear is on board. If needed, we will replace your flares (which unfortunately expire every three years) and dispose of your old ones. Outdated flares bring a hefty fine and we want to ensure you are properly equipped. Many customers bring their safety gear home for the winter season, please send me a reminder so I can check you off our list. If you have any boats not at the marina, a “safety check list” is available at the office. NAVIGATIONAL CHARTS – We will be placing a navigational charts order at the start of the season. Many have navigational systems, however if you appreciate the use of a paper chart, (like we do!) let us know and you can purchase an updated one. MARINE ACCESSORIES & WATER TOYS - Our Sea Value Program provides marine products, water toys and accessories at reasonable prices. Upon your spring arrival, you will find our Catalog for you to peruse. Alternatively, the Catalog is available on our website at www.ParrySoundMarine.com. Simply call us with your requests or fill in the order form and hand it in at the office for next day delivery. GARBABE PROGRAM – this program is very convenient and accessible 24\7 for customers who choose to join. Disposal rates climb yearly, and we try to keep it affordable for our patrons. The program is $95 for the season (billed in the fall). Contact the office to sign up. We have many furry friends that frequent our “bear safe” bins – please respect the safety of others and do not dispose of garbage outside of the bins or in any other part of the marina. CAR PARKING – Each boat slip in the marina includes ONE parking spot in our lower level lot. Additional vehicles must register in the office for a parking pass at a cost of $10 (including HST). Guest parking is located on the hill behind our Marine Store. Your seasonal parking pass is included with your Statement and may be used interchangeably in any vehicle. Please ensure your guests have a valid parking pass and display it in their vehicle. Should guests arrive after hours, the pass may be purchased in advance and picked up in the office. 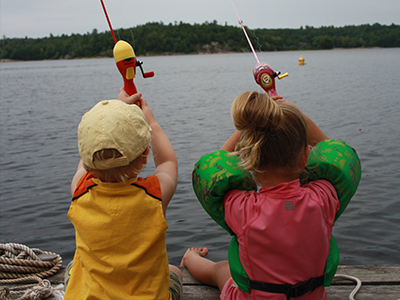 * Cash, Credit Card or Cheque – please make cheques payable to Parry Sound Marine. * Automatic Credit card – Monthly statements will be sent at the beginning of the month and the credit card transaction will take place on the 15th. Should you have questions upon receipt of your statement, please call prior to the middle of the month. Let us know if you require your credit card slip as proof of payment. If you would like to choose this option, please pop in the office to sign up. Please note, credit cards expire often – please keep us on your list to update. * Payment is required within 30 days. Overdue accounts will be charged 1.5% per month. EXTRA KEY – Don’t forget to leave a second key for our “key board” located in our office. If for some reason we need to move/service your boat, or you forget your keys, we have a back up. Welcome back! Cheers to a warm, sunny summer and making many memories on Georgian Bay. & the Staff at Parry Sound Marine! Or so we thought! Just when you think Spring is around the corner, a cold snap hits and you’re ice-skating across the Big Sound for miles! The extremely cold temperatures during March Break ended winter with hundreds skating on a sheet of glass, playing pond hockey and enjoying the unique once-in-a-lifetime experience created by Mother Nature. Quite a change since it didn’t freeze all winter! Spring is finally here and we can’t wait to get this season started. We will be launching hundreds of boats in a short time span and would like to remind you of our Spring Launching Policy. We require a minimum of two week’s notice to prepare your boat for the season. We are pleased to present our Sea Value Program enabling us to provide marine products, parts and accessories at very competitive rates. Please pick one up in our Marine Store. An online link is also available on our website at www.ParrySoundMarine.com. Just a few reminders to start off our summer season. · Our garbage program is convenient and accessible 24-7 for customers. Please contact the office to join our program at a cost of $85 per season. Last year we were visited frequently by a wee friend prompting us to order a “bear bin”. Please do not dispose of garbage in any other part of the marina. · Car parking policy – One parking spot is permitted with each boat slip. This pass is included with your storage invoice and can be hung on the mirror of your vehicle. Additional vehicles (whether second family vehicles or guest vehicles) must register in the office for a parking pass at $9 per day and park in our guest lot located on the hill behind the Marine Store. Please ensure your guests have a valid parking pass and is displayed in their vehicle. Should your guests arrive after hours, your passes can be purchased in advance, and will be left in our mail box outside the marine office for pick up upon arrival. · Insurance – please provide us a copy of your annual insurance renewal for our files. Feel free to or have your Insurer fax a copy to 705-746-7741. · Extra key – please leave a second key for our “key board” located in our office. If we need to move or service your boat, or should you forget your keys, we always have a back up! · Shore power - Please be mindful of shore power cords whether they are plugged in your boat, or on the dock while you enjoy the Bay. When power cords are plugged in, electric current is present and dangerous. All cords must be plugged in tightly and securely; not hanging in the water; and neatly placed on the dock to avoid tripping hazards. Swimming around vessels plugged in to electrical outlets is very dangerous and potentially fatal. A short in a boats wiring could allow electricity to enter the water causing what is called “Electric Shock Drowning”. For these reasons, swimming at the marina is not recommended. We look forward to seeing you this season. As always, please feel free to contact us with any questions, suggestions or needs. Cheers to a warm, sunny summer and making many more memories on Georgian Bay. Each and every day… is great when you're on the Bay!! It’s that time of year again to put our boats to bed for the season. With the less than seasonal temperatures this summer, higher than average rainfall, and windier than windy days, the sunny Fall has been a welcome surprise. Unfortunately even though the Bay has warmed back up and an array of boats can be seen in the Harbour, the cold weather will be upon us soon, and storage season in full swing. It happens fast, so if you haven’t already contacted us, please do so as soon as you can to arrange when your boat may come out of the water. This time of year is especially sad for us at the marina, we bid farewell to good friends and customers, wish them well over the winter and definitely look forward to catching up in the spring. We do love your stories, and pictures, and hearing about your adventures in the shoulder season. Feel free to share on our Facebook page! Many of you enjoyed browsing our Sea Value Catalogue this summer, and have ordered water toys, marine accessories and other fun things during the season. Please have a look at the link on our website throughout the winter and if you desire anything in particular, I will add it to our Spring Order so it will be ready when you arrive. Seasonal insurance renewals are upon us, please send us a copy for our records. It’s not only important to protect your boat, but against potential liability as well. Credit card—credit cards may expire over the year, please make sure an active card is on file if you choose this method. We do not accept American Express, if this poses an issue for you, please contact me. Should you desire any mechanical work, top or seat work, or any other item, please let us know in the Fall so we can arrange to have it complete either over the Winter or in the Spring. Spring will be upon us sooner than we realize, please remember to call us at least two weeks in advance to plan the launch of your boat. If we missed you, and did not have the opportunity to say goodbye, we hope you have a wonderful winter and a safe and happy holiday season. 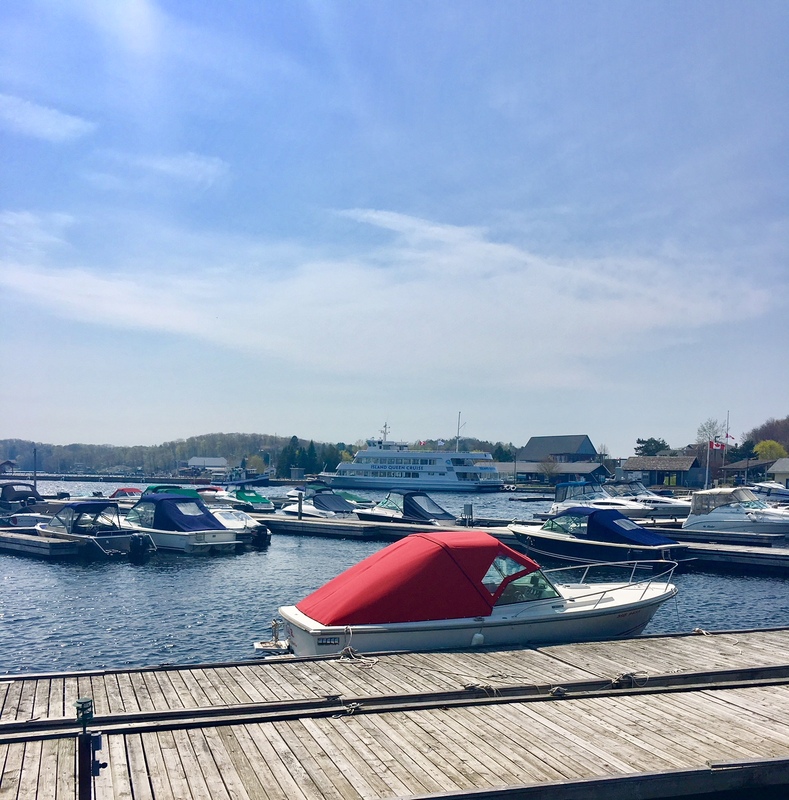 We would like to welcome our new customers to the Parry Sound Marine family and thank all of our seasoned customers for their continued business. We look forward to seeing you in the spring! At any rate, the smell of spring is just around the corner and before you know it we will be in the full swing of things. Speaking of spring, we would like to remind all our customers our Spring Launch Policy. It is quite the task to organize the launch of over 200 boats in a few weeks and therefore we require a minimum of two week’s notice to prepare your boat for the season. If you have scheduled work to complete, or would like new work done to your boat, please notify us upon your launch request. Should you require marine products, parts or accessories, please contact us and we would be happy to provide you supplies at very competitive rates and have them waiting in your vessel upon your first visit. In addition, please don’t forget to leave an extra key on our “key board” for emergency purposes. Garbage program - if you would like to participate in this program, contact us to sign up at a cost of $75 per season. Please ensure you place your garbage in the bin located directly across from the Store parking lot. Please do not leave garbage in any other part of the marina. The gar-bage bin is ONLY for those who sign up for the program.